I’m learning some things about myself. One, I don’t have to dislike Christmas so much. Christmas music isn’t half so bad. Some aspects of the season are somewhat fun and exciting. And, for certain, Christmas can carry much meaning. Two, I can ride a roller coaster. It’s a purely miserable experience, but I can physically accomplish it. Three, I assume a lot of things. Or you might say, I live by assumption. Or you might say, I am an assumer. Something like that. That is, I don’t often think about whether or not something is real. Or true. Or right. I just assume that it is or isn’t. And so, I merely survive the Christmas season because I approach it with preconceived ideas of how awful it will be. I never consider whether or not it might be a good thing. 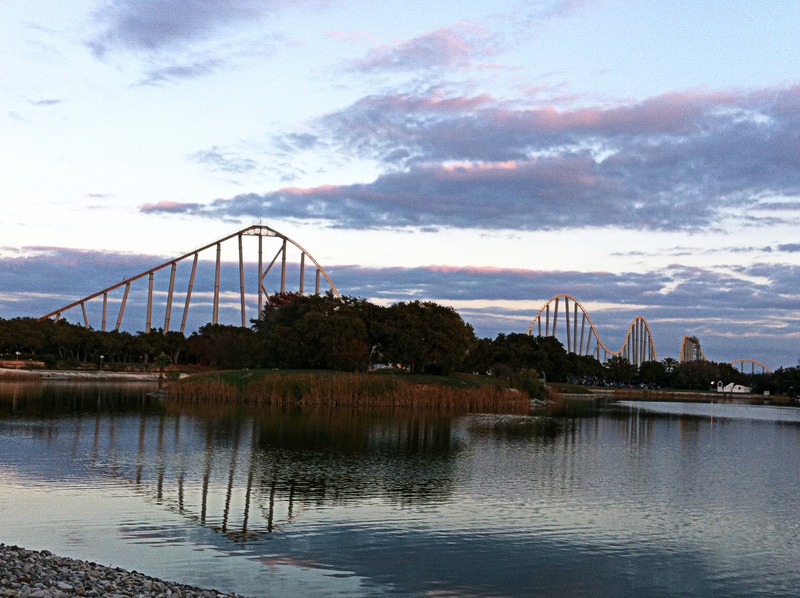 Granted, my assumptions were confirmed in this case, and I learned that I still despise roller coasters. But that’s beside the point. The Bible is a pretty silent book. It says a lot. And is completely sufficient. Yet much is left unsaid. Examples: Cars, computers, coffee, Christmas, roller coasters, blogs, etc. My blink-of-an-eye assumption that I hardly realize I make? Who says so? Just because the Bible doesn’t address an issue means the questionable matter is acceptable? Or not acceptable? Where did that come from? My preconceived ideas may have just taken me in a shaky direction. 2. It doesn’t say anything directly? Then does it say anything indirectly, or possibly pertaining to the issue? 3. Nothing at all? Or just some fuzzy stuff? 4. Then, keep searching the Scriptures. Pray. Seek the Holy Spirit’s guidance. 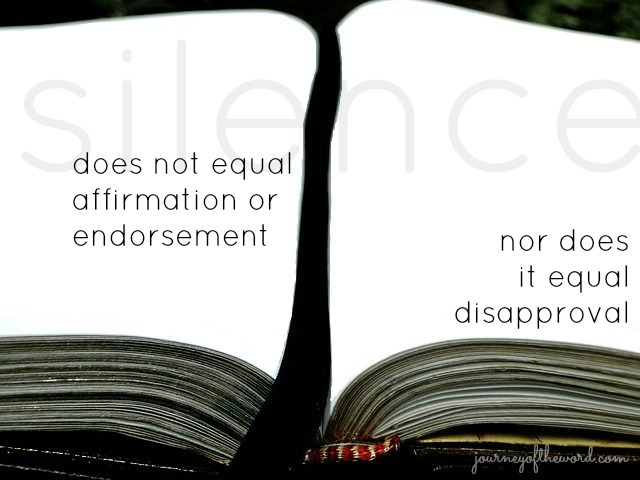 Silence does not equal affirmation or endorsement. Nor does it equal disapproval. If you find an indication in the Word that it does, do tell. And if you find something about roller coasters, I’d like to know that, too.